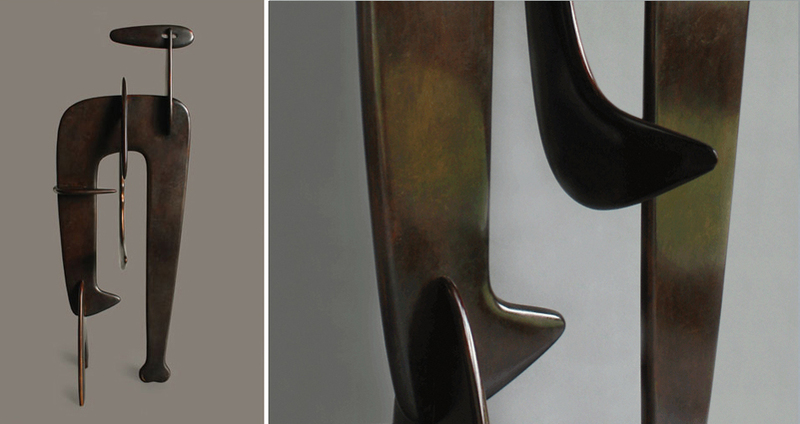 The bronze patina on Figure was visually compromised by a dark and opaque coating. Consultation with the Isamu Noguchi Garden Museum and review of other sculptures in the same series guided the course of treatment. 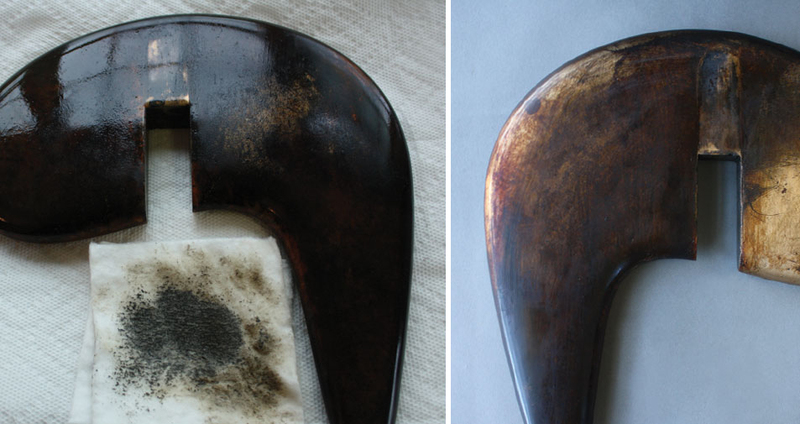 The degraded coatings were removed revealing an original translucent patina with golden and red brown coloring. 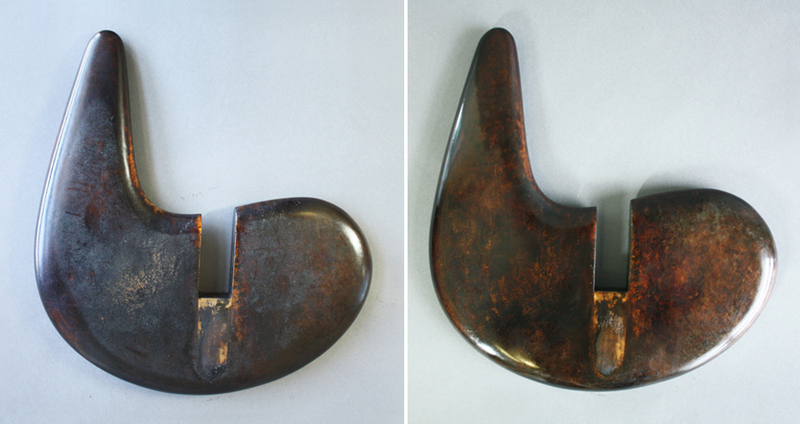 Losses to the patina were inpainted to harmonize the overall appearance.